Ever since the Fortnite crossplay controversy on PlayStation 4, it feels like the console marketplace and their respective manufacturers are beginning to make strides to open up their previously isolated player bases, allowing their audience to play with anyone they want and however, they want to. 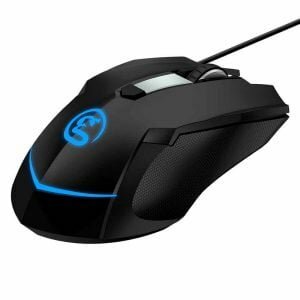 This open concept, of course, includes bringing in PC players, who love using their keyboard and mouse for shooters, strategy games, RPG’s and other popular online experiences. A negative stigma about these two playing together in titles like Fortnite is that PC players will always have the advantage because they have much more accurate hardware when compared to the limitations of a controller. That’s where the GameSir VX AimSwitch was supposed to come in and level the playing field, but it’s cool concept greatly suffers from a lack of proper implementation and follow through. 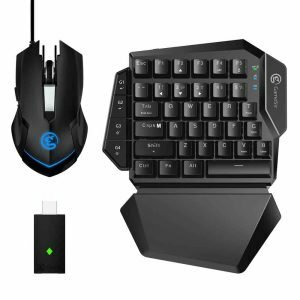 Retailing for $100 USD, the GameSir VX AimSwitch is marketed as an all-in-one wireless keypad and mouse combo that is compatible with all of the current gen gaming consoles, including the Nintendo Switch. While the setup differs from system to system, most of the work is simply plugging in the included 2.4 GHz USB wireless adapter into the console and then finding out how to sync it up using either the consoles interface or select key commands on the VX AimSwitch keypad. The included instructions are quite clear and within five minutes users will be off and gaming with PC peripherals. 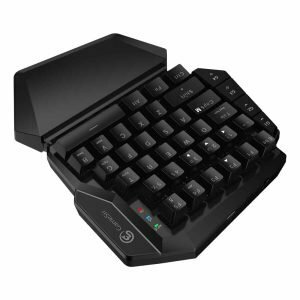 I really enjoy the design of the GameSir VX AimSwitch keypad, which is essentially the fourth of a full sized keyboard. The sharp angles and the well thought out proportions of the hard plastic chassis create a device that both looks visually appealing while also being comfortable to use on either a desk or on top the user’s lap if they were sitting on a couch. The 34 preset keys are laid out well and are more than enough necessary to map out all of the functions necessary for whatever type of game the player plans to enjoy. Another nice inclusion is the addition of 4 programmable macro keys, but they are only used on a console to change HIP and ADS sensitivity on the fly. While I enjoy the build quality and layout of the GameSir VX AimSwitch Keypad it does suffer from some major shortcomings. When I play my games I love to turn off the lights, put on a set of headphones and fully immerse myself in the gameplay. The problems that I face while using the VX AimSwitch is that none of the keys are backlit and the game’s control prompts are still asking for the buttons on the console’s controller. This can make for some incredibly annoying control issues in single player games when users have to memorize what buttons are mapped to which keys. This surprisingly took me quite a while to adjust to as a primary PC player because my normal commands, like escape key to options, would instead boot me to the PS4 main menu or the home screen on the Switch. Another annoyance is that instead of including the low profile sounding Cherry MX Red or Brown switches, GameSir decided it would be best to include Cherry MX Blues, which are much louder than usual due to the added hollow echo that emits from the chassis after every key press. Users are able to configure new and existing profiles of their GameSir VX AimSwitch using the G-Crux mobile app, but even this software doesn’t solve the core issue I’m facing as a player. On PC, I can map any key I want to nearly any function or mechanic I want to in the game, but while using this hardware on console I’m stuck to mapping my keys to the button on a controller and the functions assigned to it. The experience overall just isn’t as intuitive or customizable as it should be and gives console players a false impression of what it’s really like to play games on PC, which is more than likely the fault of this product being a third-party peripheral instead of an officially licensed one. The included mouse is another weak part of the package. It feels cheap and hollow, the buttons are squishy and the actual performance of the sensor and its precision left much to be desired in my test bed of shooters. The benefit from this mouse being a USB device that plugs into the wireless keypad is that it can be interchanged with any USB mouse the user owns, but that defeats the purpose of users purchasing this combo as an all-in-one solution. I’m deeply disappointed with the GameSir VX AimSwitch. 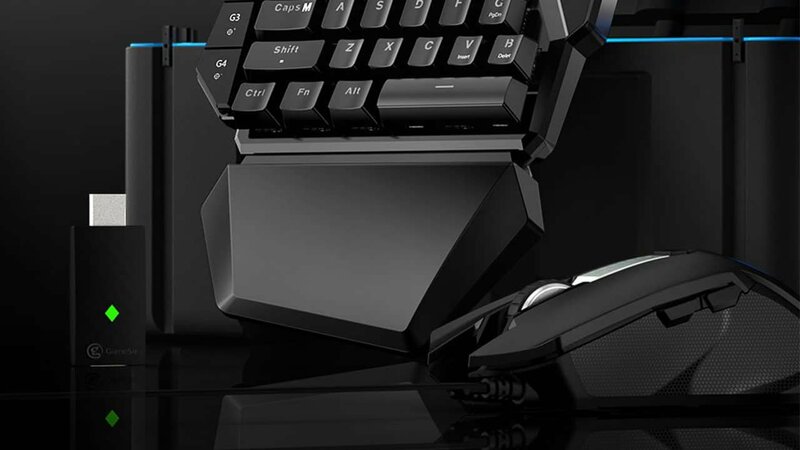 While I love the design of the keypad and how it should work in concept, when put into practice the functionality of this device quickly breaks at the seams and constantly fights with my muscle memory as a PC player. Console players hungry for this type of control scheme should instead look at the examples set by Microsoft and their recent implementation of mouse and keyboard support on the Xbox One. While the library may be limited, for now, Microsoft has set the bar for what this type of experience can be like on console and is openly working with more developers and tech manufacturers to make it even better. 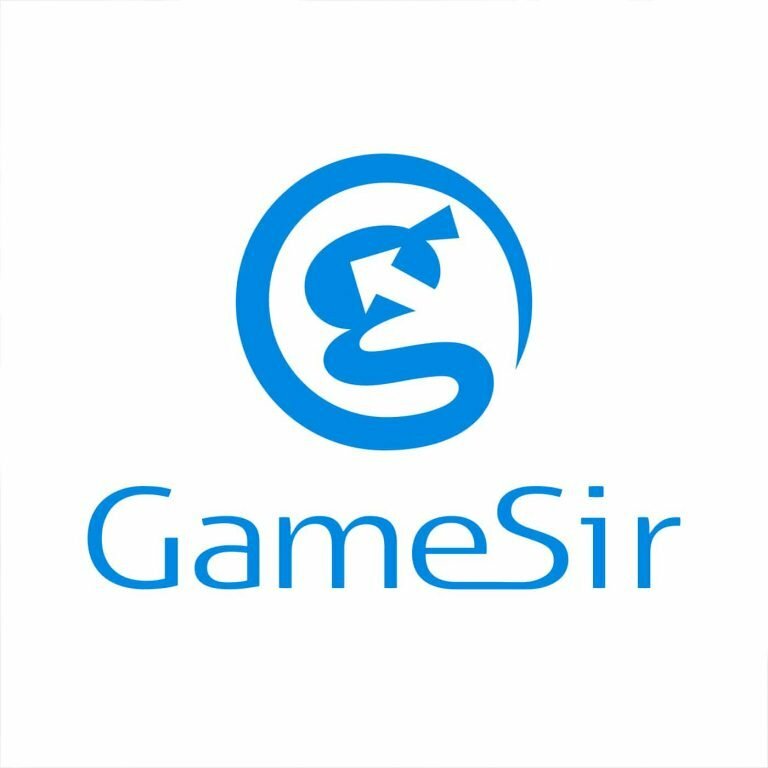 While I love the design of GameSir VX and how it should work in concept, when put into practice the functionality of this device quickly breaks at the seams.